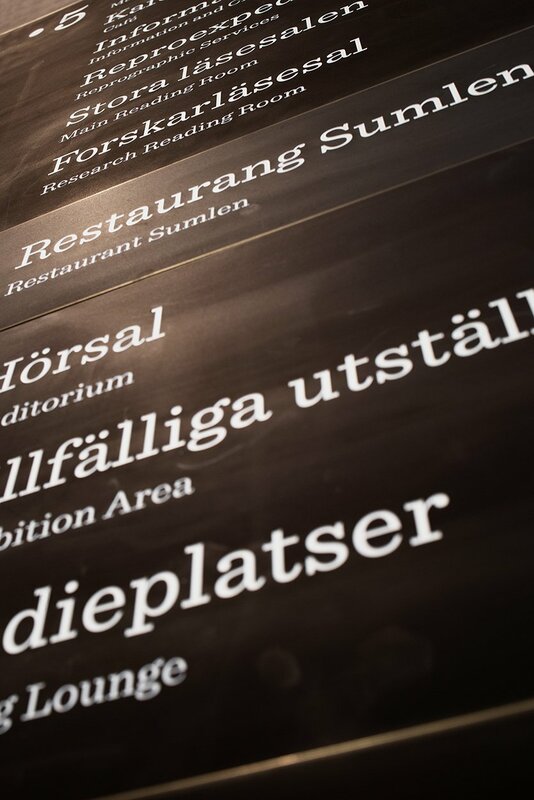 For the Kungliga Biblioteket (Royal Library) in Stockholm, we have manufactured oxidized brass signs. We won the procurement to create the indoor signs, which we were very pleased of. Together with the architect, we reached a final result. One of the tasks was to get the right patina, which was expected to look “aged and experienced”, which we believe we succeeded in. We got a clear contrast between the plaque and the text, and it is very important for readability.